Tam Lin and The Dubious Hills have been nominated for the Mythopoeic Fantasy Award for Adult Literature. Learn more at Pamela Dean’s website. The Secret Country — (1985-1989) Publisher: For the past nine years, cousins Patrick, Ruth, Ellen, Ted, and Laura have played at “The Secret” — a game full of witches, unicorns, a magic ring and court intrigue. In The Secret, they can imagine anything into reality, and shape destiny. Then the unbelievable happens: by trick or by chance, they find themselves in the Secret Country, their made-up identities now real. They have arrived at the start of their game, with the Country on the edge of war. What was once exciting and wonderful now looms threateningly before them, and no one is sure how to stop it… or if they will ever get back home. The Secret Country is a fun fantasy about five teenagers and pre-teens who accidentally stumble into the fantasy world that they themselves created in play. 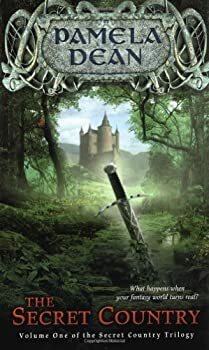 Unfortunately, they are their normal selves, not their powerful alter egos, and so they are in a magical medieval kingdom without magical abilities, weapons skills, or even decent horsemanship. And the catch is that everyone expects them to know these things, since their characters do! This book is a role-player's dream, and perhaps nightmare as well. They get by, becoming involved in court intrigue while trying to stay out of trouble by quick thinking and by calling on their knowledge of the way the world works. But then the world starts to change, with characters and objects behaving in ways they never thought of in their game. 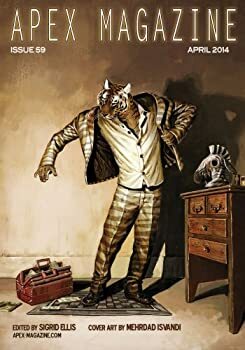 I've read several Pamela Dean books in the past, and so I was prepared for her style; it didn't bother me much that characters quoted too often, or that the book was long on characterization and mood but short on plot, or that the ending swooped in out of the ether when I was least expecting it. I was ready for those things to be the case, so they didn't disappoint me. 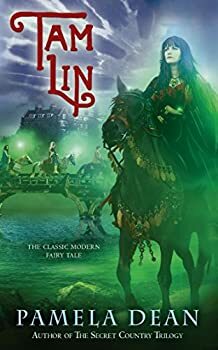 I opened the book hoping for a story like Dean's earlier Tam Lin, full of interesting characters, with a subtle but looming sense of the supernatural. The Dubious Hills — (1994) Publisher: Centuries after a group of warring wizards eliminate war from the Dubious Hills, the Hills are a place where knowledge and ability are parcelled out in strange ways. Only the group known as the Akoumi understand death, only the Gnosi know how to teach, and only the Physici can know pain. Dean weaves a strange and compelling examination of knowledge, responsiblity and death.